Our brains do our best to warn us of trouble and protect us from harm. Therefore, our brains, in all their best intentions, could never actually contribute to our problems, right? You may be surprised. In this episode of The Brain Warrior’s Way Podcast, Dr. Daniel Amen and Relationship Magic author Guy Finley describe how unconscious thought mechanisms can self-sabotage us, and what to do about it. 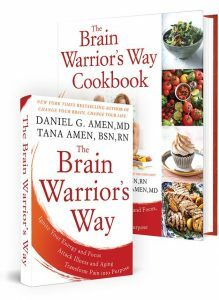 Dr. Daniel Amen:	The Brain Warrior's Way Podcast is brought to you by Amen Clinics, where we've transformed lives for three decades using brain SPECT imaging to better target treatment and natural ways to heal the brain. For more information, visit Amenclinics.com. Dr. Daniel Amen:	Welcome back. I'm here with internationally best-selling author, spiritual teacher, Guy Finley, the author of Relationship Magic. We're just having a relationship week, and it's so important. I know when Tana and I get along, I'm so happy. Our audience knows she's strong willed, and she has red hair, and that I just completely adore her. 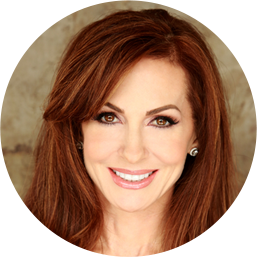 Dr. Daniel Amen:	I'm so glad I sort of met her when I had become a little bit more enlightened about relationships. 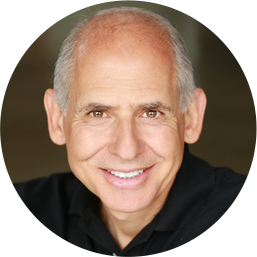 Dr. Daniel Amen:	What inspired you to write this book now? Guy Finley:	I'll try to be as brief as I can. I don't know, Danny. I was 17 or 18 years old. I'd had a number of experiences as a child, that one would call ... I don't know what you would call them, religious, mystical, definitive phenomena, unexplained, that have stayed with me my whole life. Probably just different parts of us awakening. And as you intimated with these circles, the more integrated we are as a human being, the healthier we are. And to me, the healthier we are, the more aligned we are with health, with a capital H, period, which we don't create, but that we participate in, as a being. I was walking down the street ... I actually put it in the first chapter of the book just before this one, and I walked into a place, an outdoor market where they were selling Bonsai trees, you know the little Japanese, Chinese trees. And I walk in, and I looked at these trees, I started weeping. I have no idea why, but it elicited out of me something I didn't know was in me. And I came to realize that, that moment of relationship with these little trees was introducing me to qualities in myself that I didn't know I had. An ancient, 500-year-old tree, Danny, in a pot. And you can feel everything about the tree. All that it's been through. The tree literally, tells you a story. Now, they're called Bonsai because in Japan, there's no space to grow big trees. So, people have to have nature in a pot. But the point was, that in that moment of relationship, something that I didn't know lived in me was awakened in me. And I felt the age of the tree. I felt the timelessness of it, the suffering of it, if you will. All of that in a heartbeat. And there it was, asleep in me, and suddenly awake. And I realized, you know what? That's exactly what all relationships do. Why do I go to the ocean? What do I love a mountain for? Because when I'm in the proximity of it, the deer on my property, they awaken in me things I don't know are in me. Qualities, characters. And when we are awakened to qualities and characters that are ordinarily asleep in us, we discover things about ourselves. We could call that self-realization, couldn't we? I'm realizing that there are things in me I didn't know were there, and they're fantastic. I love these things. So, relationship, revelation, revelation, realization. That simple. And that's what this book is about. This book is about the fact that when I'm with you, I experience things that I can't experience with any other human being. But it's not just you I'm experiencing, I'm experiencing what is in me that is in parallel with Danny, what's similar, and what's dissimilar, which is also to the point of the book. Because if we get that every moment reveals to us qualities we don't know about ourselves, and when we first fall in love, like you said, "Hallelujah, brother. This can't get better," that's the best of me. But then comes the rest of me, as the relationship moves along, where I move from infatuation to, "Uh-oh, this is trouble." Because now, my partner is helping me discover parts of myself I didn't know were there. And if I'm willing to learn about what I didn't know was there, not just the highlights, but the parts of me that are limitations to love, easily set off, then relationships have a chance to develop into something completely different, where you complete me by teaching me about myself, and knows no limits to what I'm willing to learn. Then we grow together, Danny. We become in our relationship, something more than the sum of the parts, which is what I call love. Dr. Daniel Amen:	It's "Curious, not furious." Dr. Daniel Amen:	Right, when I get triggered. Guy Finley:	We see the world around us through the eyes of the nature that has reacted. And if I'm reacting negatively, I'm already loaded with it. We talked about it. So I have a foregone conclusion about how you should be, and how you should treat me. And the moment you don't do that, up comes this old idea, this image in the form of a reaction, says, "No, you're wrong." And I'm blind. I can't see what's going on in me. And I blame you for it. Dr. Daniel Amen:	I love that. That's so helpful. Dr. Daniel Amen:	Explain waking up together. Guy Finley:	We're talking about it. I'm with my wife. I'm very blessed. I've been with my wife for nearly 40 years. We go to dinner someplace. Have you ever gone to a restaurant, sat down, and it was like you were the Invisible Man and the Invisible Woman? Nobody even notices you sat down. 400 people come in, they get waited on, they're done with their dinner, and you're still waiting. Dr. Daniel Amen:	I've had that experience. Yes, I have. Dr. Daniel Amen:	But now that we have cell phones, we're at least distracted. Guy Finley:	Isn't that the truth? Dr. Daniel Amen:	... if I have something distracting me. Dr. Daniel Amen:	... your mind. Dr. Daniel Amen:	That's one of the things we teach on the Brain Warrior's Way podcast, is, well, how do you manage this thing that tends to go toward the negative? And a thing you'll like that we introduced to our audience are called tiny habits. What's the smallest thing I can do today that will make the biggest difference in the health of my brain? Dr. Daniel Amen:	... and trauma. Dr. Daniel Amen:	... in a way that's helpful. Guy Finley:	Look, I'm all on board with creating a proper frame for the mind. But one of the things that I think that we need to do, all of us, is to start to understand, and you said it, we are more or less, a creature in which a certain protective mechanism has been built into the brain, and its mechanism is always before the problem appears, often, to predict the problem, and then try to protect itself from it. Dr. Daniel Amen:	That's why my wife is a prepper. Don't say that to her. But she's so ready for the end of the world. Dr. Daniel Amen:	All right, I'm getting confused. Guy Finley:	All right. The mind sees something it doesn't want to go through. It hasn't gone through it. Where is it getting the content of that? It's getting it through imagination. It's imagining a problem. Now, the mind that imagines a problem doesn't know it's imagined it. So, this image, this idea appears in my mind, and then the mind goes, "Oh, my God, I better protect myself from this problem that could happen, that could go wrong." And in that moment, Danny, essentially, we are living out a pattern produced by a brain that's asleep to itself, where if I could wake up in the moment to the fact that I'm resisting an image, I'm resisting a dream my mind had. And I don't know it's a dream, but if I knew it was a dream, Danny, the dreams over. And then I don't need to protect myself from anything. I'm awake, I'm vibrant, I'm alive, and I'm meeting every moment like that, understanding, there is this fail safe mechanism in a brain that's asleep to itself that is trying to protect itself from what it imagines could happen to it. And it doesn't know, Danny. It doesn't know what could happen to it. It can only project, and it's almost always a negative projection. Dr. Daniel Amen:	Well, part of that depends on your experience, right? Guy Finley:	Of course. Absolutely. Dr. Daniel Amen:	Because as a psychiatrist, I have seen so many people over the years that have grown up in chaos. Dr. Daniel Amen:	... because my first wife grew up in a very abusive, alcoholic home. And it just changed her, where I grew up with five sisters, but I grew up in a loving, consistent, predictable family. And so, our set point, or our go-to points, were very different. Guy Finley:	No doubt about it. Dr. Daniel Amen:	... rather than what's right. And, which will totally affect your relationships. Dr. Daniel Amen:	Right? Because I would look at her and be like, "Why are you mad at me?" Guy Finley:	What they imagined. Dr. Daniel Amen:	... has happened to them. So, it's both. And I like a treatment, I don't know if you've heard of EMDR. It's a specific psychological treatment for trauma. And it's fascinating, because when I have you bring up that trauma, and I get your eyes to go back and forth, it actually calms down the part of the brain called the amygdala, so that's the fear sector. Dr. Daniel Amen:	And it activates your frontal lobes, the most human, thoughtful part of you, to be in better ... So, they're in better balance, so you can be in better balance. Guy Finley:	All of this is spectacular, because it gives a person an immediate understanding that change is possible, but that the change actually has to come from a new kind of knowledge that one has, which is very much at the heart of what we're talking about in this book, and in our related fields. Look, I'm growing up, and I have an alcoholic parent, and they're abusive. So, I grow up, automatically fearful of a certain sound of laughter, because I know a drunk laugh. I mean, it could be anything like that. Dr. Daniel Amen:	Right, because the brain works through association. Guy Finley:	Because, I mean, just like that. And the point here, is that when I began to what to transcend the limited reactions I have under certain social circumstances, then I can begin to recognize, and I've seen this all the time, I'm sure you have too, Danny ... People believe that it's possible to change the past by reliving the past, instead of understanding that the past wants to relive itself. It's part of the wiring of this brain. It wants to relive itself. And it needs me, if you will, to be involved in its machinations, so as to validate the very past that I'm trying to escape or change. Dr. Daniel Amen:	That's a conflict. Guy Finley:	It is a complete conflict, perfectly said. Dr. Daniel Amen:	Is that's why people pick fights? Dr. Daniel Amen:	Because you're used to it, so, you get into that groove. It's like, who would pick, if you grew up in an abusive family, right, who would pick someone to abuse you? Dr. Daniel Amen:	But we see it over and over again. Guy Finley:	And who would pick to relive it over and over and over again? So, the man who suffers, or the woman who suffers, reliving the pain from the past doesn't understand that they have been more or less drawn into this activity of a mind that is only familiar with re-creating and re-experiencing itself. Whereas, we as men and women who can become conscious of this pattern, can begin to understand, something is inviting me to go back and think about that person who hurt me 20 years ago. It wants me to relive it. I don't have to relive it. It isn't who I am now. That moment served a purpose. It produced the changes in me that it did. And now it's time for me to exit that level of consciousness, understand it, literally, out of existence, so that I can have a new relationship with everybody that comes into my life. Dr. Daniel Amen:	So, Relationship Magic is not just about intimate relationships. Guy Finley:	Oh, no, no, no, no. Dr. Daniel Amen:	It's about all relationships. Stay with us. We're gonna come back, and talk about specific things you can do that Guy talks about in this book, Relationship Magic. Stay with us.